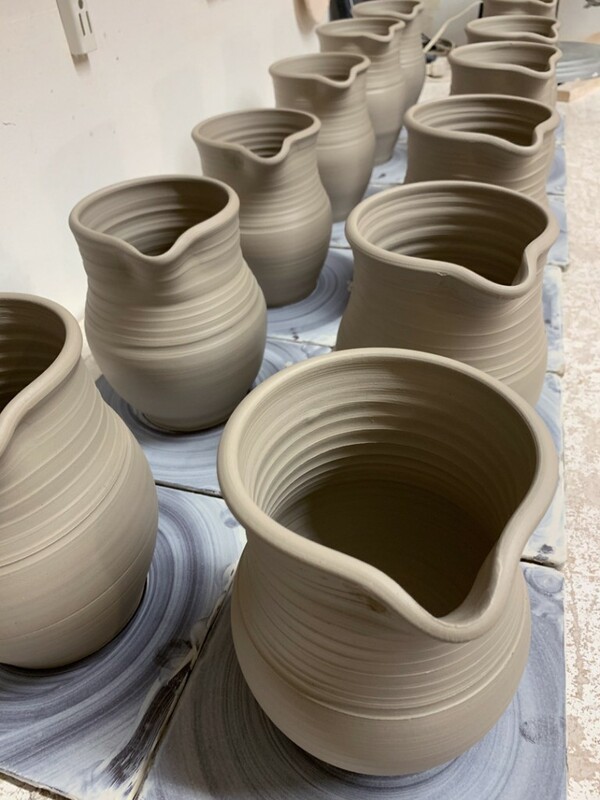 Freshly thrown, just off the wheel… a batch of pitchers-to-be! Tomorrow they’ll be stamped… and if all goes well, trimmed & handled too?!! !